Why Vote for Dr. Howard Cooper? 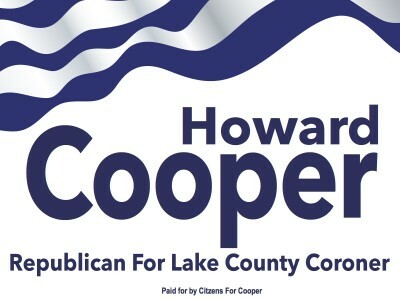 Why Vote Dr. Howard Cooper? Former Congressman Joe Walsh and Michael J. Miller are hosting a cocktail reception on my behalf. The reception will be held Monday, October 17th from 6:30 to 8:30 p.m. at Chessies Restaurant. Tickets Cost $75 a person and sponsorships are available for this event. I hope to see you there. For more information, click here. Interested in helping Dr. Howard Cooper? Copyright © 2015 Citizens For Cooper. All Rights Reserved. Paid for by Citizens for Cooper. A copy of our report filed with the State Board of Elections is (or will be) available on the Board's official website (www.elections.il.gov) or for purchase from the State Board of Elections, Springfield, Illinois.